Yesterday I came back from a weekend meditation retreat to find this article quietly waiting for me in my email inbox. I’m so excited to share it with you today, and hope this is the first of many to come! My friend Sandro Mairata is a very talented journalist who has worked for many national and international publications, and while in Lima a few weeks ago he contacted me for this interview. He came to my apartment in Miraflores during lunch time, and we chatted away as old friends do while Adrián Portugal fired out spontaneous pictures. I hope you like it and learn a little bit more about us (or at least me), and this blog, reading it. Thanks again, Sandro and Univision News! It’s mid-November, way past lunch already and Morena Escardó is not yet hungry. 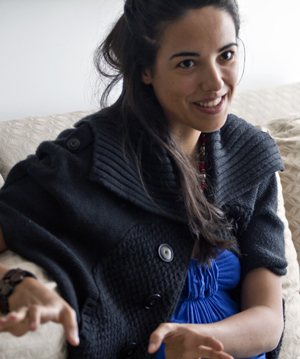 Morena, a tall, long-haired 30-year old from Lima with a bachelor degree in Philosophy and Literature, likes to spend most of her time with a laptop in her living room, putting together one of the most personal takes on a food revolution: Peruvian Cuisine. Her blog, Peru Delights, offers a vegetarian alternative – in English – for those with an affinity for new sensations, but who may not like the strong flavors and meat-centric style of many Peruvian dishes. Cuadra, a former Nicaraguan beauty queen turned journalist, chef, and wine expert, moved to Peru some decades ago. After marrying Escardó’s father, a famed Peruvian magazine publisher, Cuadra started the short-lived cuisine outlet Cocina, Arte y Estilo in 2001, whose extensive photo catalog and contents remained unused for a long time after the magazine was closed. That material made up the core of Peru Delights, which now includes updated recipes and pictures with new dishes every Monday, Wednesday, and Friday. 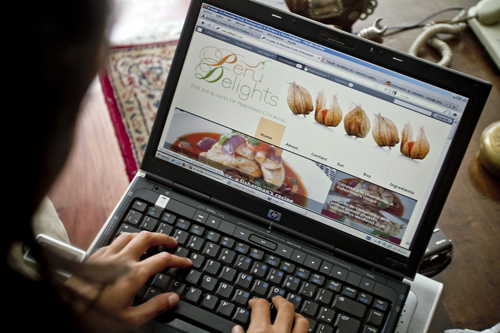 There are many differences between what Peru Delights offers and most Peruvian blogs about cuisine. The first one is that Peru Delights is English-only, as Escardó spent some years in New York working for a publishing house specializing in coffee-table books. 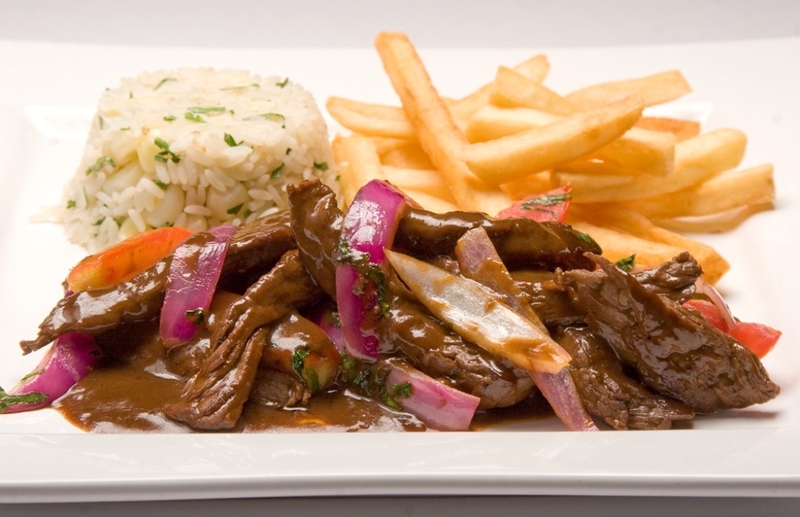 The reason Escardó decided to make the blog English-only was so that it could target a multicultural audience abroad who are intrigued as to where to find Peruvian ingredients and the right way to make a lomo saltado (“fried sirloin steak and veggies with French fries and rice”). Then, there’s the focus on being vegetarian, as Escardó hasn’t eaten meat for the past 15 years. “Peruvian cuisine is so diverse, yet I always had problems trying to find what to eat,” she said. Escardó remembers being 3-years old and feeling sorry for a dead turkey. “I decided I would no longer eat a turkey again.” She never made it to vegan, but has found peace in being a vegetarian. Peru Delights isn’t radical, in the sense that they include the traditional recipes, together with the “veggie” version. “Some people, as well as traditional Peruvians, they want the classic version of the dishes,” she said. Finally, there’s Escardó’s unique approach to cuisine prose. Take for example her advice on how to best handle the French fries of a lomo saltado: “We love them on the side, so they remain creamy inside but crispy on the outside. Feel free to substitute the potatoes with boiled and then fried yuca. One good friend of mine has a recipe using potato gnocchi instead. The overall result is different but gets full marks on originality and taste,” she wrote. It’s not just the tips she provides as to where to find the “best of” Peruvian dishes (something at which local site Cucharas Bravas – “Wild Spoons” – excels) or the detailed guide of all things Peruvian cooking (Yanuq is the most comprehensive of all), but it’s her engagement in conversation with the amateurish, shy cook that sets her apart. “We like to start a conversation, and we listen a lot,” said Escardó. Peruvian Cuisine went from a secret pride to international sensation in the past decade, with Gastón Acurio leading a pack of local chefs who pushed for recognition of the extraordinary variety and potential of local ingredients. Novo Andean Cuisine (“Cocina Novoandina”) was the name for the movement started by influential chef and journalist Bernardo Roca Rey in the late eighties, which incorporated long-lost colonial cooking techniques together with fruits, vegetables, and spices that were no longer popular. Pisco, the Peruvian liquor made from boiled grapes, was also rebranded as the national drink in recent years, with pisco sour posing as the national cocktail. The mix of great food and the renewed pride over pisco has made cuisine the ultimate obsession, with food fairs such as Mistura becoming massive events, and two recent documentaries, Cooking Up Dreams (2009) andMistura: The Power of Food (2011) spreading the word the world over. 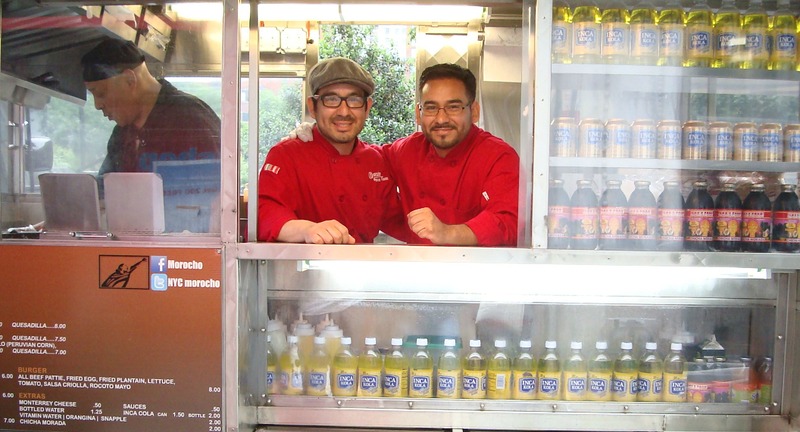 Escardó and Cuadra are already part of a cooking blog network, pushing to get Peruvian cuisine more exposure. The immediate plans are to help make ingredients available, gathering different sources to make dishes available. As we speak, the smell of arroz con pollo (“hearty chicken with green coriander rice”) wafts out of the kitchen. Morena Escardó portrait by Adrián Portugal. Press HERE for the original article and more of Sandro’s work and Univision News. congratulations this is amazing and i loved being able to learn a little bit more about you through this article! What a fantastic article! And I loved the photograph of you – this recognition is well deserved. Congratulations. That’s a brilliant write-up and a lovely portrait. I hope it brings in more readers to you wonderful blog. Congratulations! Love the article! What an honor! Congrats! Such a great accomplishment! Def. learned new things about you! And, what a cute picture he took. Congrats on the piece… On and up to bigger and greater things. 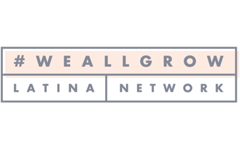 Congratulations…and congratulations to Univision for recognizing the good stuff! Gracias! Que linda 🙂 Nos alegra que te guste. blogger. I have joined your feed and stay up for looking for extra of your wonderful post.